Yesternight, I realized something else I hate in people. I HATE it when people watch a movie and then come publicize (read: go around shouting) the twist/suspense in the movie, just so that they can spoil the experience for others who haven’t watched the movie yet or are planning to watch it soon. I hate it so much that I can’t even begin to tell you how much! And yesterday, it happened to me. 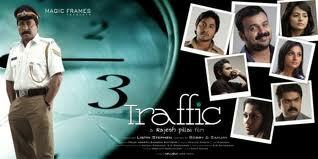 Till now, I have had to go through this twice, but both the times, it wasn’t about a movie I was keen on watching. So, it didn’t matter if I knew the suspense beforehand. 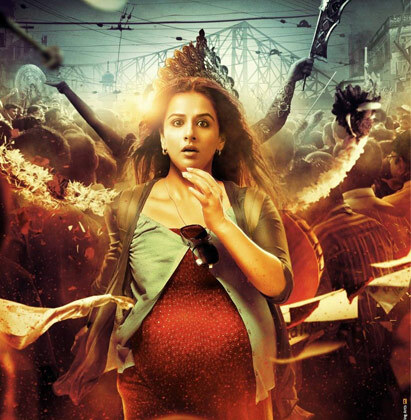 But last night, a roommate of mine got this movie I had been longing to watch ( ‘Kahaani‘ – a Hindi movie starring Vidya Balan). She watched it and when she came to the room, she started saying something about the movie and I stopped her, I told her I wanted to watch it. Right away, she came and blurted out the suspense part to me! I got so irritated. Anyway, I kept quiet because I didn’t want us to have an issue just before leaving. This entry was posted in Life Through 3 Years of College, Movies, Random, Thoughts in Words and tagged Bollywood, Emotions, Experiences, hollywood, Horror, Horror Mvoies, Last Night, Malayalam, Movies, Music, Spoilers, Suspense, Thoughts, Thrillers, Touching Movies. Bookmark the permalink. well I sadly haven’t watched any of those movies you’ve mentioned Rosh (especially not the horror, I can’t bear to watch horror 😦 ) but I had a similar-ish situation. On our local television station they’re showing this series “What I like about you” (Google it, I tried putting a picture up here but it didn’t quite work out) and a colleague and I were on the verge of reading up on what happens next and there’s this other lady who had watched the whole thing prior and she was saying she knew how the whole series ended, thankfully we stopped her and didn’t read about it either! Which was the last one you watched? And your fav until now? John Abraham?? I can easily imagine why. it’s for his acting ability… nooot! that man is gorgeous to say the least! haha 🙂 have you smelt her fragrance? Bad horror films definitely appear hilarious. Yeah, especially when it has weird characters with weird laughter! 😛 And, do let me know if you like Traffic. Sure! Provided I find the subtitles! Ah student life! Loved staying up to watch movies, pigging out on chips and pop….now I fall asleep half-way through them at 11pm 😉 enjoy this time as much as you can! I have heard a lot of ‘adults ‘ say the same!